On the market for the first time, this spectacular, meticulously cared for Malibu Park estate is situated on a beautifully landscaped nearly seven-acre lot with ocean and mountain views. The expansive single-level villa showcases timeless elegance and offers seamless indoor-outdoor living, with all rooms opening onto the majestic gardens, sprawling lawns and winding flower- and tree-lined pathways. 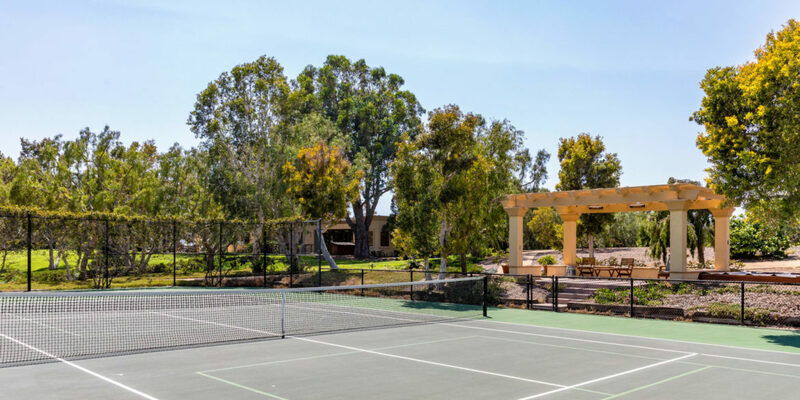 The grounds also include a separate guesthouse, tennis court, pool, spa, bocce ball court, rose garden, vegetable gardens, fruit trees and storage buildings. 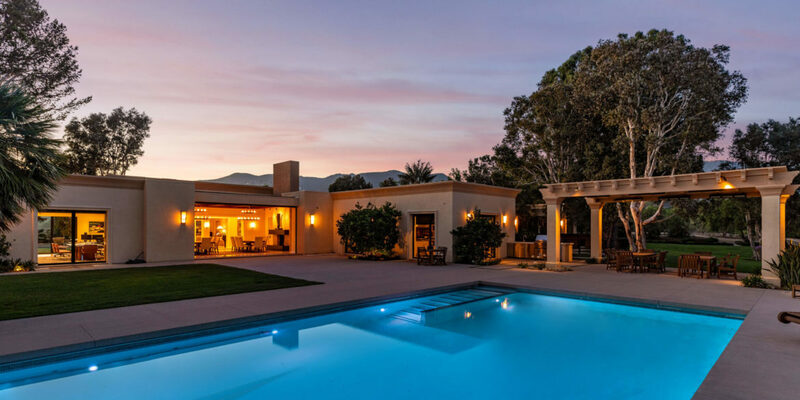 The poolside living space has covered and open patios with multiple seating areas, as well as a dining area beneath a lovely pergola with ample room for a large group. There is also a six-car subterranean garage with an elevator to the residential level and additional parking in the driveway. Encompassing approximately 11,605 square feet, the residence features a formal living room, oversized formal dining room, library, office, sitting room, media room and wine cellar. 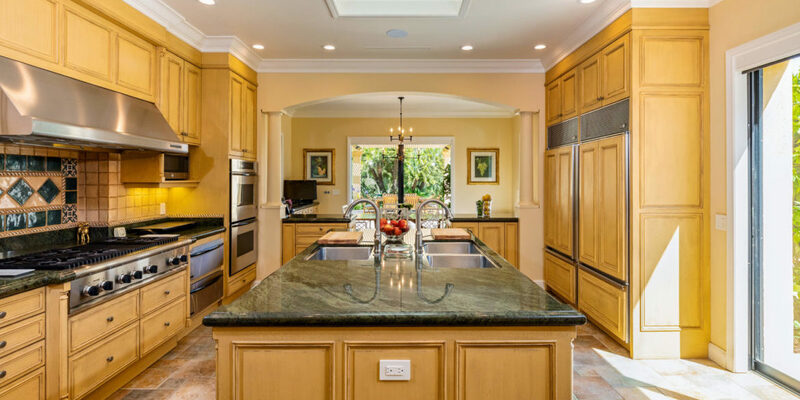 The gourmet chef’s kitchen has high-end stainless-steel appliances, a large island with three sinks, and a bright and cheerful breakfast room with walls of glass on two sides that open to the pool area. The main house features six bedroom suites, including a sizable master suite with a gym, office, two bathrooms and a fireplace, as well as separate staff quarters. 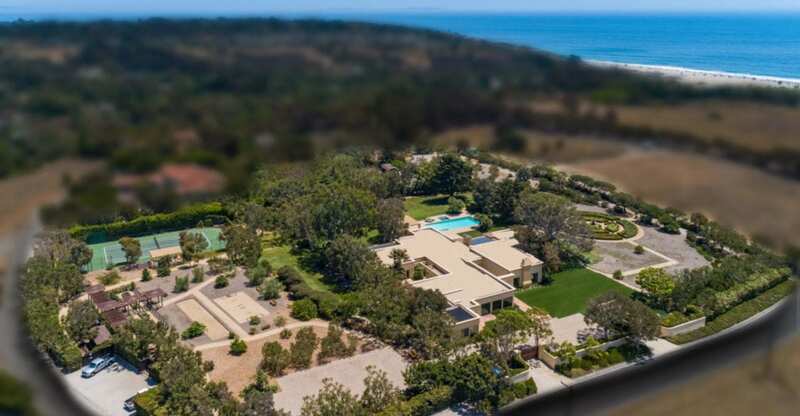 Located just off the Pacific Coast Highway, the prestigious Malibu Park neighborhood is close to popular Zuma Beach and just minutes from Point Dume State Beach, which boasts impressive cliffs, expansive beaches and hiking trails. Elementary and middle schools, as well as Malibu High School, are all less than a half mile away. Tucked away in the Malibu countryside, this exceptional estate truly offers the quintessential Southern California lifestyle.